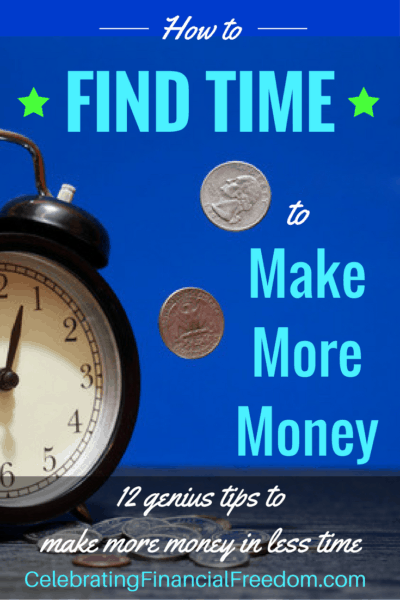 How to find time to make more money is one of the top questions I get from CFF readers. Most everybody wants to make extra money, but finding time to fit a side gig into your busy schedule is difficult. Learning how to manage your time efficiently is one of the top things you can do to more easily work your side gig and make money to invest, pay off debt, and stop living paycheck to paycheck. What Could You Do With 10 More Hours a Week? Lack of time is a problem that keeps most people from pursuing side hustles that could change their life in a big way. Ironically, most people have much more time at their disposal than they think. Just think about it. If you could carve out an extra 10 hours or more a week, how much money could you make? What would you do with that money? Even better, you might decide to make your side hustle into a full-time career if it’s lucrative enough. Either way, when you decide you want to do what it takes to make more money, you’ll find it’s a life changing endeavor that’s worth the effort! 12 common sense ways to find time to make more money with your side gig. What you can do to maximize your extra money. How making more money on the side can have a major impact on your life and happiness. How Much Time to You Really Have? We all have the same 24 hours a day to work with. It’s how you use them that counts. When it comes down to it, most of us use our time extremely inefficiently. Unless you’re already working 50-60 hours a week (or more), you can carve out some time to make more money on the side. The first thing you can do is to start keeping track of how you spend your time. For the next week or two, write down how you spend each hour of every day. You can write it down or keep up with it on your smartphone. The goal is to be able to get a visual representation of how you spend your time. Entertainment- movies, TV, gossip magazines, tabloids, novels, etc. CNN reports that the average American spends over 10 hours a day consuming media on computers, cellphones, video games, DVDs, radios, TVs, and DVRs. All these activities have a way of sucking you in and not letting go. Before you know it, you’ve wasted half your day on pointless BS that adds nothing of value to your life. Once you discover where you’re wasting most of your time, commit to cutting out those time wasters. Use time you would have spent binge watching a television series or reading a juicy novel, and spend it working on your side hustle. You’ll be amazed at how making a little money feels so much better than sitting on the couch zoning out to a TV show, getting fat on chips and queso. You can gain an extra hour or so to make more money by going to bed a little later or getting up earlier. However, I don’t recommend combining the two. 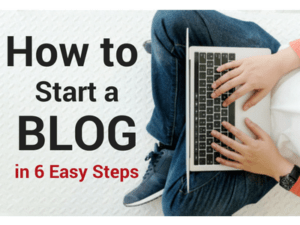 I’ve known many people that get up an hour or so earlier every morning to work on their blog, write a book, or run their online business. It’s usually a great time to work uninterrupted while the family is still sleeping and you don’t have other responsibilities to tend to. Of course, if you’re not getting enough sleep, that’s not healthy, so use this tip with caution. Only you can be the judge of how much sleep your body really needs. Here's an excellent resource detailing how sleep deprivation impacts your mental and physical health to help you make an informed decision about altering your sleep habits. We all have those little gaps in our day where we don’t have anything to do. Those are some of the best times to make more money by knocking out a little work on your side hustle. This tip is one of my favorites! I’m a practicing dentist, and right at this moment I’m writing this post in between patients. I’ve been doing this for so long now it’s become easy to shift my focus between the two when I need to. It may take a little getting used to at first. But when you learn to put in a few minutes of focus during those in-between times, it makes a huge difference toward finding time to make more money. It’s easy to waste a lot of time running errands every day. Make it a habit to consolidate your trips and run errands once or twice a week instead of daily. Also, when you shop, make sure you know exactly what you’re shopping for. Make a list of what you need, get those items, and leave without wasting time browsing around the store. I do this with our grocery shopping. I buy our groceries just once a month during one shopping trip. I make a comprehensive list of what we’ll need for the month, so it only takes me about 2 hours or so to get all the shopping done. This eliminates several hours of shopping and driving time every single month! Here lately I’ve started ordering our groceries online and picking them up at the store, which saves even more time! All our favorites are saved in our account, so shopping time is reduced even further! 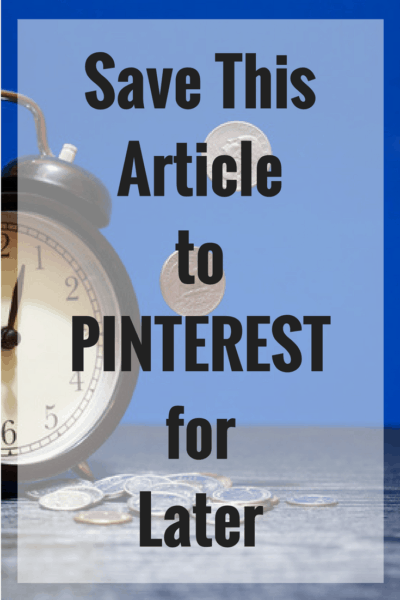 Making sure everything is where it needs to be saves time you can use to make more money. It’s always easier to find what you need when it’s where it’s supposed to be instead of searching endlessly in an unorganized pile. This is especially true with your finances. Here are a couple of great tools to get your finances running like a dream. It may take a little time on the front end to get organized, but it pays off in spades when you don’t waste time daily searching for stuff you need. Spend time on your side hustle during your lunch break. If you can eat your lunch and make more money while you’re doing it, that’s an awesome use of your limited time! I used to play a TON of golf. After spending several hours every week hitting the little white ball in the hole, I decided I wanted to do something more productive with my time. Something that could change people’s lives. That’s when I found blogging. Instead of spending hundreds of dollars (and dozens of hours) a month playing golf, now I make more money in my spare time and help thousands of my readers change their financial lives too! Sure, I still play golf on a rare occasion. However, blogging has been much more fulfilling than golf ever was. I have never regretted replacing one for the other! It’s easy to start your day without a clear plan. The best way to defeat this problem is to have a to do list ready to go before you start your day. Making tomorrow’s to do list today allows you to hit the ground running at the beginning of every day. You’ll automatically be able to take action to accomplish your daily goals without wasting time trying to figure it out at the beginning of the day. I’m a morning person. My best friend Nuke does his best work late at night. Trying to do your best work at your best time of day helps your workflow go faster while doing higher quality work. On the flip side, trying to do deep work at the wrong time of day is rarely worth it. I know if I try to do anything too involved in the evening, it’ll probably take me twice as long to do half the work. That’s why I schedule easier tasks for the evening. If you’re a people pleaser who has a tough time saying “no” to others, now is the time to start. Let’s face it, if you let other people dominate your time, they will. You don’t necessarily have to say “no” to everything. But when you start doing it strategically, it frees up plenty of time you can use to make more money to reach your financial goals. An important exercise you should do is to attach a purpose to the extra income you earn. When you attach a purpose to your money, you’re better able to knock your financial goals out of the park! 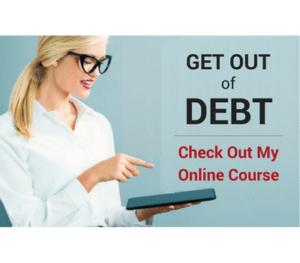 Use your additional income to pay off all your debt. Reinvest the money back into your business to make it bigger and more profitable. Invest your extra money and grow it into a huge nest egg so you can achieve financial freedom earlier. Save it up and pay cash for your kid’s college education. Making more money on the side has the potential to have a massive impact on your life! You don’t have to make a lot of extra money to have a big impact. Just a few hundred dollars a month is all it takes accelerate debt freedom, turbocharge your investments, or grow a profitable business you can be proud of. However you choose to use the extra money you make, make sure it has a lasting impact on your life and happiness. Don’t use it to increase your lifestyle and buy a lot of stuff you don’t need to impress people you don’t really like. Most people don’t believe they can find the time to make more money. But the reality is, if you’re like most people, you’re wasting tremendous amounts of time every day. With all the technology available today, I truly believe it’s never been easier to make extra money than it is right now. But with so many distractions competing for your time, you must be diligent and have a plan if you want to succeed. 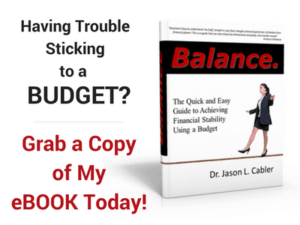 Use the tips above, and you’ll find all the time you need to make more money for you and your family, meet your financial goals, and make more money than you ever thought you could!